Is there a better alternative to Molar? Is Molar really the best app in Science category? Will Molar work good on macOS 10.13.4? 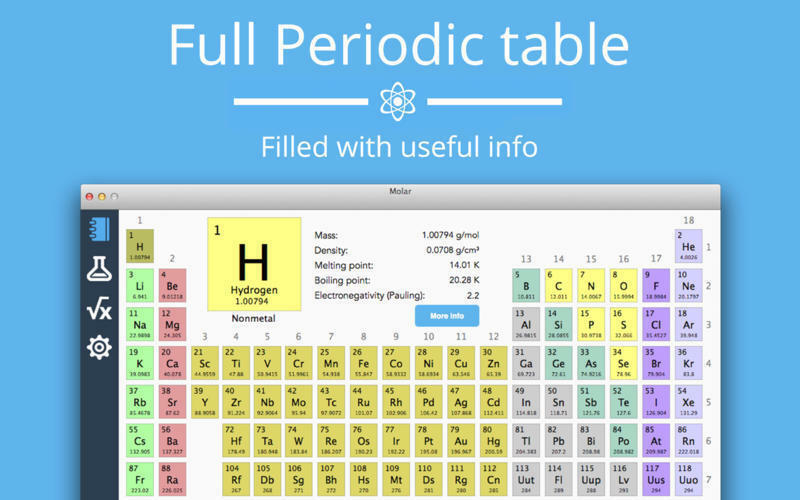 Molar is an educational tool and reference for students with features such as periodic table, triangle solver, and chemical equation balancer. Molar has a complete periodic table for easy reference. It contains a lot of info, and is especially useful if you're studying science. 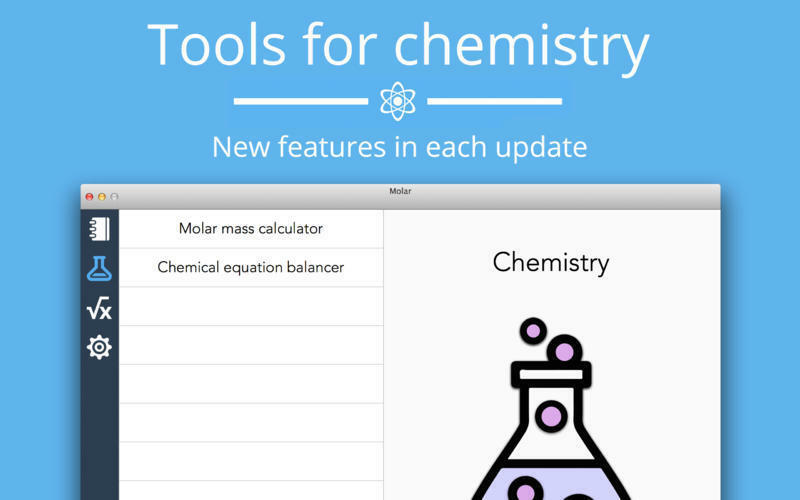 With the tools for chemistry you can quickly calculate the molar mass of a molecule. You can also have chemichal equations balanced and formatted ready to copy into, for example, Evernote or another note-taking tool. 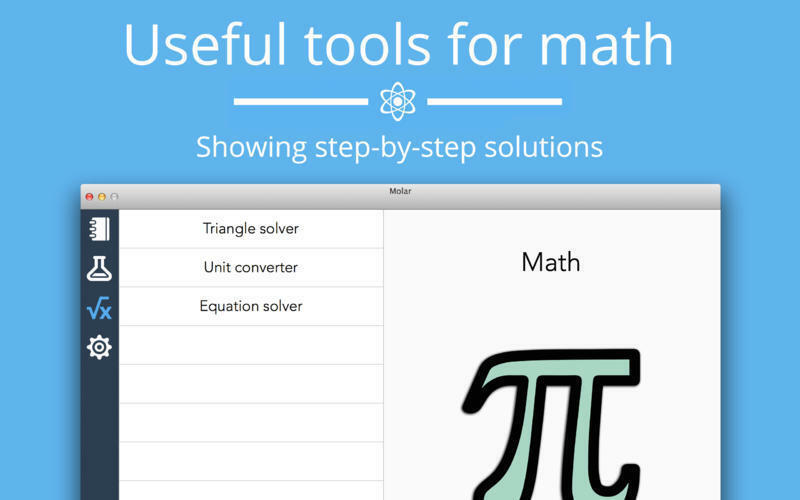 Molar also contains tools for repetitive tasks in math, allowing you to become more effective. Molar needs a review. Be the first to review this app and get the discussion started!